Trial license that was sent to you after you downloaded the product. Next to the License file for Veeam Backup Enterprise Manager field, click Browse. 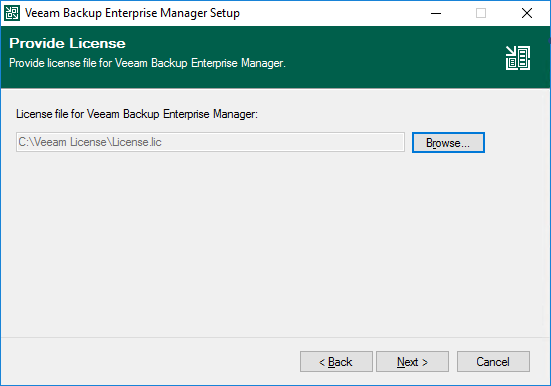 Select a valid license file for Veeam Backup Enterprise Manager.